They mistake my craving to understand people. They do not realise how well I know the feeling of being misunderstood. The laugh at my walking through the fire to save the people burning me. They do not see that I have too many burns festering deep inside. They do no comprehend that I know too well the achiness of no one bothering. They confuse my kindness for weakness, they take me for a fool. Eventually they will realise that everyone you meet is fighting a battle you know nothing about. 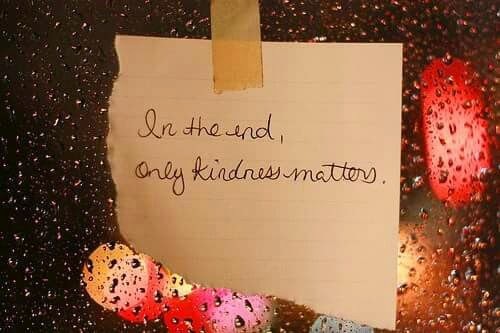 Be kind, in the end its all that matters.